ARWAY collections are inspired by the main three tribal groups (Mande, Mel, and Kru) and individuals in Liberia, and the authenticity of their traditions. Each item is uniquely designed in the bliss of the night or the wee hours of the mornings. Once completed, our Designer maneuver to different parts of Monrovia to meet with our various Artists. As our designs are unique, every component is designed to ensure each Artist utilizes his/her skills, additionally, ALL can benefit economically. She starts her journey with the Bag Makers, after hours of adding and subtracting they conclude. She skids over to the wood Carver with stencils and patterns, he carefully carves out each stencil. In between, she talks to the Painter, Vendors, BAs, etc. After a few weeks, our products are at your disposal. Thanks to………. 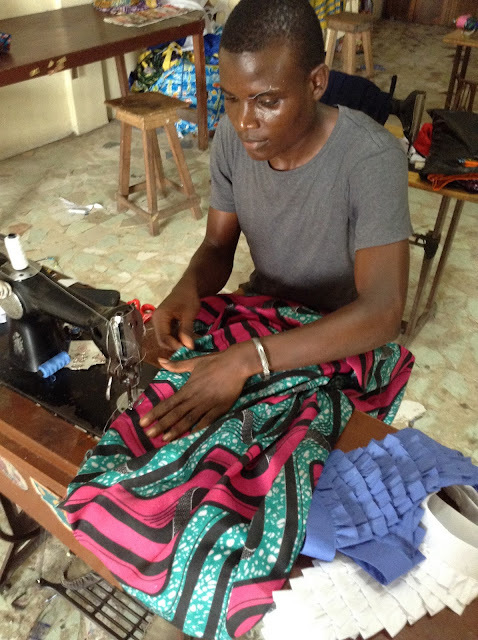 "Sewing is what I do for a living, but it's more than that, it about gaining others trust." A protege of a Liberia fashionista, he has effectively grasped the art of threading in all aspects. He believes it is calling, and hope to someday own a fashion house. "He was born to be an artist," said a colleague. Frank started drawing at an early age. He is known to be one of the best Artists in Liberia. He is currently working at Heritage newspaper, and freelance when the calling is right. From a young age, Konneh's' father taught him the art of woodcarving. Over the years Konah has mastered the art, and currently, utilize his skill to carve several items using various wood originating from West Africa. My father inspired me to become a professional handbag maker. 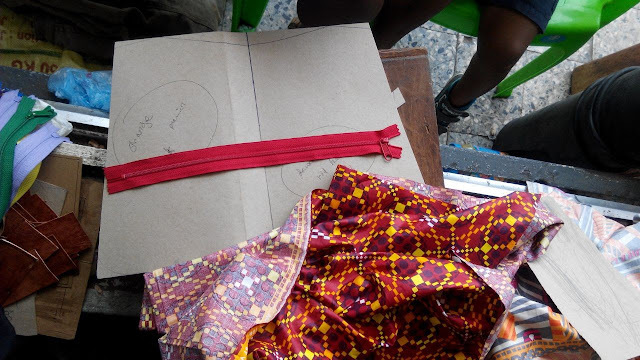 At the age of fifteen, I decided to perfect the art of bag making. Making bags is not just about earning a living, but leaving a legacy for my children to one day follow. "The manifestation of an idea from theory to actuality are moments I cherish"-Marit. Liberian born, worldly raised, fashion impacted, and cultural rapt. Her passion to utilize art as a tool for economic empowerment led her to create ARWAY. A social enterprise striving to creatively and economically empower youth who dare to be active dreamers.